A natural burial symposium for towns. It was one day past a messy February snowstorm and we gathered trepidatiously in the parking lot of the Chiltonville Congregational Church in Plymouth Massachusetts. How would the weather affect the event? Would the promise of the Natural Burial Symposium overcome the psychological barriers for those travelling in? As it turned out, though a number of people cancelled about 75 did show, filling the sanctuary and the dreams of Denise Stowell, a retired jacquard woven fabric designer who began the project to help protect the Pine Barrens around her hometown from clear cutting and ended up with a day-long Symposium designed to appeal to town planners, landowners, and a general public that might benefit from the idea of natural burial but not have been exposed to it. "We are the fastest growing town in the state," says Denise, "and with the nuclear power plant shutting down in 2019 there's a big push for revenue. Plymouth appeals to retired folks and an enormous development called Pinehills is drawing new people here. 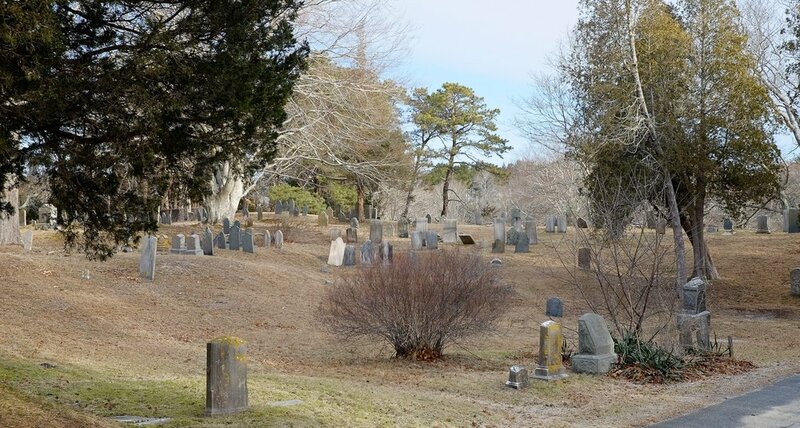 The town is quickly running out of burial space and is planning a new cemetery. We wanted to get out as much information as possible so we can understand the laws and regulations that need to change to allow new cemetery plans to include green burial. There's a lot to consider for the selectmen and other town planners. Most people don’t recognize the potential of natural burial so we are trying to explore the idea in multiple ways, and have conversations on working together for a meaningful end of life experience and a more sustainable future." Southeastern Massachusetts Pine Barrens Alliance, or SEMPBA, the symposium's host, is an environmental organization and the day sought to explore the possibility to preserve and protect land, which as we know goes hand in hand with green burial, especially the level known as "conservation burial" which requires partnership with a land trust or other conservation organization. 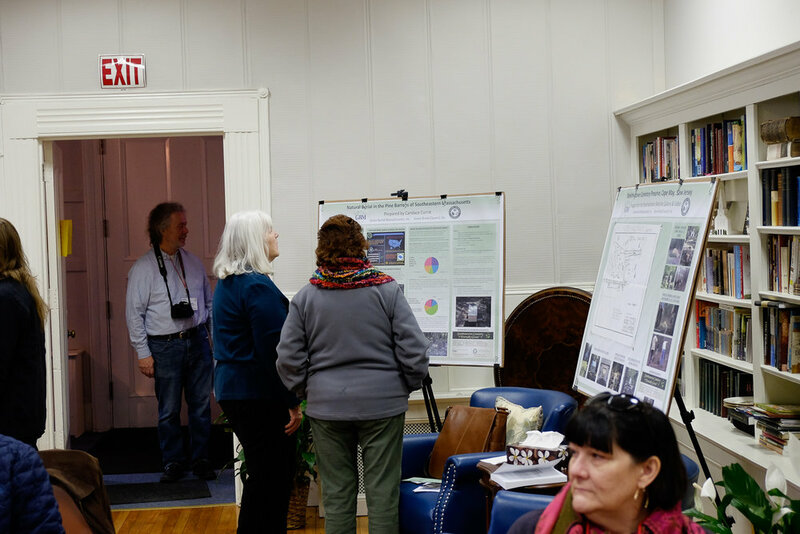 Almost 50% of those who attended came from the general public, which meant the conversation reached well beyond the group of already dedicated green burial people. The symposium's modest registration fee included a homemade lasagna lunch. Along with Frank Mand, also a SEMPBA volunteer, the agenda included Maura and Madison White, who spoke of the healing process of burying their beloved father/husband naturally. Eva Moseley, who at 87 is a tireless advocate for changing burial practices. 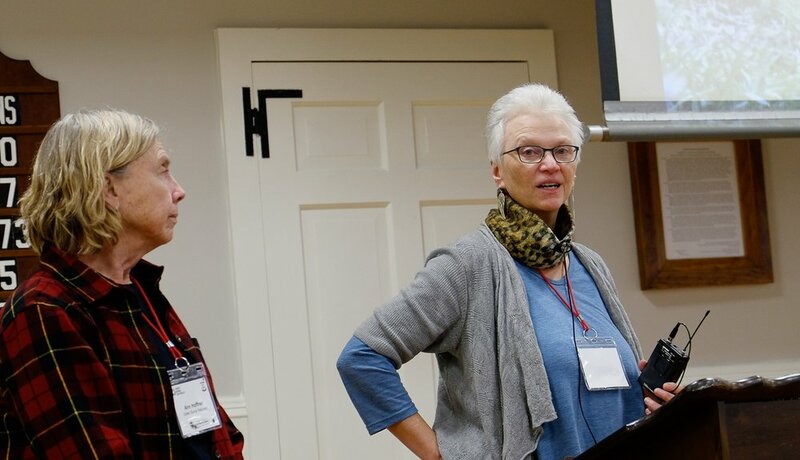 Members of Green Burial Massachusetts Carol Coan and Joan Pillsbury who are working to bring green burial to the eastern and western parts of their state. Heather Massey, who brought the intimacy of a home funeral to us and Ruth Faas from Mourning Dove Studio who brought her cardboard coffins to show. Candace Currie discussed green burial at Mount Auburn, currently the only cemetery in the state to be certified by the Green Burial Council. Local conservationist James Rassman presented the prospects for intersecting land preservation and open space with green burial. The unexpected star of the day, Nate Horwitz-Willis, Director of Public Health for the town of Plymouth, became an enthusiastic advocate for green burial while doing research for his talk. Ted Bubbins, Cemetery Superintendent, took many questions. Rich Vacca, the town's Conservation Planner, was there with positive support. We need more professionals like them to help towns understand the nature of what we are doing and not dismiss green burial because of outdated ideas of impact and resistance. Denise had asked me to talk about cemeteries in the Northeast and their ownership structure, but Ed Bixby was unable to get to Plymouth so instead I showed photos of my father's burial at Steelmantown Cemetery, the natural burial ground in southern New Jersey which Ed owns and manages. Like Myles Standish State Forest in Plymouth, Steelmantown is a Pine Barrens region of pines and oaks and the landscape and its needs are similar. Candace Currie and I spoke about the Green Burial Council, which is currently the only organization that offers standards and certification for burial grounds. SEMPBA is planning a more informal gathering this spring to continue the public conversation and give updates on any progress. A number of people who showed interest for the February event were working on a weekday and unable to devote the time. A new website page will offer information about green burial, including from the symposium speakers and organizations represented. "It was a fabulous day and we had a great time!" said Denise. My husband Tom and Denise both have Finney ancestors in the Chiltonville burial ground behind the church. Next time we are together in the neighborhood we plan to look for common tombstones. Newer PostMy father joined an ecosystem at Steelmantown Cemetery. Older PostRamsey Creek Preserve, America's first modern natural burial cemetery.